What Qualifies as Travel When Redeeming Miles on the Barclaycard Arrival Plus World MasterCard? What Qualifies As Travel When Redeeming Barclaycard Arrival Plus Miles? The Barclaycard Arrival Plus World Elite MasterCard is currently offering an all-time high sign-up bonus of 50,000 miles after spending $3,000 within the first 90 days. The 50,000 mile sign-up bonus is worth $525 in free travel when redeemed to get a statement credit for eligible travel purchases made with your Arrival Plus card. This is why it’s one of my all-time favorite travel credit cards—and why I’ve applied for it 3 times! The good news is that in almost all travel charges should qualify for travel credit redemption using your Arrival miles. However, it ultimately comes down to how the merchant codes the purchase—it must be under the a travel category. Lets take a look at what exactly Barclaycard defines as travel to see the various options for using Arrival miles for travel. This essentially brings the Arrival Plus card’s earning rate to 2.1% back on everything. This is quite good in my opinion, as it’s a higher earning rate across the board, which make work well for someone who does not want to spend time figuring out which card earns the highest bonus category for purchases. With essentially 2.1% cash back on everything, the Barclaycard Arrival Plus is a great card option. I particularly like the card since I can redeem the miles earned from the card for ANY travel. This means I don’t have spend time searching for award availability, etc. When you use Arrival miles for a travel statement credit redemption you need to be aware of several things. First you’ll have to make a eligible travel charge to you Arrival Plus card of at least $100 or more. Once you have made an eligible travel purchase you can log into your online account and redeem Arrival miles for a statement credit. If you redeem your miles for a travel statement credit, the credit will be posted to your Account within 1 to 2 business days. Statement credits reduce your Account balance but cannot be applied toward any minimum payment and are otherwise subject to the terms and conditions applicable to your account. This means that I can go out and purchase a flight from any airline and use my Arrival miles to cover the cost. This goes for hotels and other accommodations as well. Basically any major travel or so long as the charges post to your account as under that category. Almost any type of travel should in theory qualify as a travel charge, but there may be a few instances where a small mom & pop business, such as a local Bed & Breakfast, might charge using a different merchant category. With the Barclays Arrival card you get a 2.1% return on everything. Unlike other cards that typically earn extra miles on bonus categories and 1x on all others, the Arrival card earns you 2x miles on all purchases across the board. The 2x earning makes this card one of the best cards out there for the all-around traveler because the miles you earn with the Arrival Plus card can be redeemed for ANY travel expenses. This means you don’t have to find award availability or even book an award ticket. You can fly on whatever airline you want. With airline miles you are limited to the said airline and its partners. With the Arrival Plus card, you have the freedom to choose. With Arrival miles you can use the miles for any purchased travel expense, so feel free to buy the flights you want. You simply buy the flight and redeem your Arrival miles for a statement credit. There are no blackout dates or seat restrictions. If you can buy the ticket, then you can use your Arrival miles to cover the cost of the flight. On top of that, you earn more Arrival miles for purchasing the ticket and airline miles for flying on the flight! What Qualifies As A Travel Redemption? Remember that you also get a 5% rebate when you redeem Arrival miles for travel redemptions. There have also been some reports in the past of public transportation/metro counting as a travel purchase, however with the now higher minimum redemption level you will have to make a fairly large purchase. The bottom line on what counts as travel is that the merchant must submit the travel purchase using the eligible merchant category codes for purchases in the above categories. It is the merchant that selects this and not Barclaycard itself. The minimum travel statement credit redemption level is 10,000 miles for $100 toward a qualifying travel purchase of $100 or more made within the last 120 days. This 120 period starts when the travel purchase posts to your account, which means it may actually be after the date you made the travel charge. However, this should only be difference of a few days. Use your Barclays Arrival credit card to make a travel purchase of $100 or more. Log in to your Barclay’s online account. Click on ‘Manage Rewards’ button. And then ‘Pay yourself back for travel’. Select the charge that you want to redeem with miles. That’s all! Now your Arrival card statement will be credited for the value that you redeemed. Remember you also get a 5% rebate on all miles redeemed for travel! 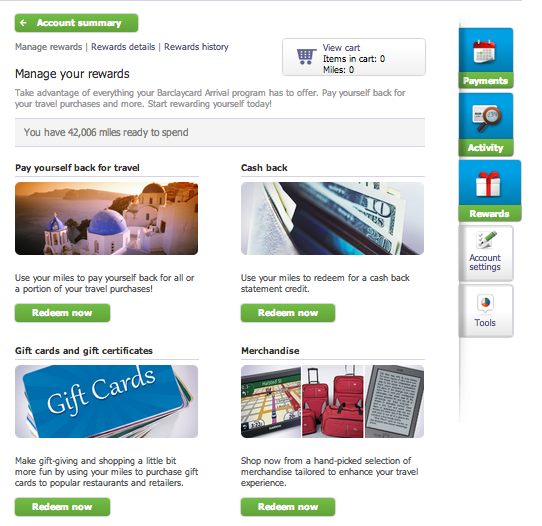 Value Of Barclaycard Arrival Miles? Arrival miles are fixed-price miles and are worth 1 cent per mile. With the 5% rebate you get when miles are redeemed for travel you actually get a value of 1.05 cents per mile. The minimum amount of miles you can redeem for travel is 10,00 miles and you can redeem miles toward a portion of your travel costs if you don’t have enough miles to cover the entire charge. However I have been able to redeem partial charges. For instance, if a hotel stay costs $300 and you have 22,000 miles, you can redeem $220 worth of free travel from the hotel charge. 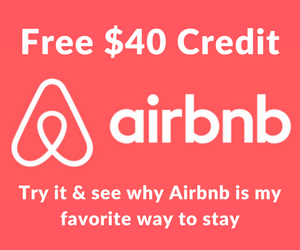 All of this can be done easily online, so you don’t have to worry about calling into an agent to redeem miles. Because all travel redemptions are worth 1 cent per mile, they are all equal. It really depends on what you want to redeem the miles for and what is best for you. Unlike traditional airline miles, there is no ‘best’ way to redeem Arrival miles because they have a fixed value. One of my favorite ways to use of Arrival miles is by using them to cover the taxes and fees from a traditional airline award ticket. 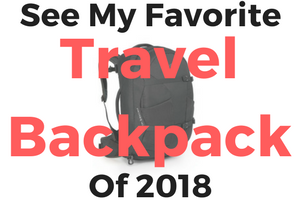 This makes award travel completely FREE. For instance, say you can book a round trip flight to Europe for 60,000 using United miles and $152 in taxes and fees. You can redeem 15,200 Arrival miles to cover the cost of the taxes and fees. 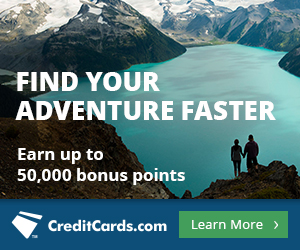 The Barclaycard Arrival Plus™ World Elite MasterCard® currently has a all-time high sign-up bonus of 50,000 miles that can be used for a statement credit for ANY travel expenses made to your card. 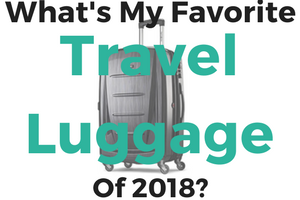 The most important part is that the merchant codes the purchase under the travel category, however personally I’ve never ran into this problem with normal travel purchases. Once you’ve made a travel purchase $100 or more you can log into your account and redeem Arrival miles for a statement credit which will be applied to your account within 1-2 days. Does anyone know if purchases AA miles will code as TRAVEL? An update as of Jan 2017 – They are now coding airlines as their own merchant category. i.e. American Airlines shows as a Merchant Category of ‘American Airlines’ and same with Delta. These categories are not able to be used with your reward miles. I have contacted BarclayCard about this and am awaiting a response. If this is the case, makes the card useless. Thanks for the heads up Chris! That would be unfortunate and yes, make the card a LOT less valuable! Keep us posted! I called Arrival Plus and was told that buying AA gift cards from AA would not count as “travel” expense. Should I call again? The transaction has to be coded within the ‘travel’ category, what is the purchase showing as? Since the purchase didn’t happen, obviously, no code. Rand, a question I’ve been digging for maybe you have some experience with. Cruises. I purchase a cruise for $500 and I can redeem points for that. But how about expenses on the cruise ship? I arrive, connect my Barclays card to my room and enjoy myself for a week. Go to a special dinner, buy a watch, pay for an excursion… At the end of the cruise they hand me a bill for all the cruise expenses… Does that count as travel? Technically the cruise line is billing me. Is it broken down? “Yes you can redeem the excursion.” but “No you can’t redeem the watch.” Really curious if you have some insight on this. But goal is to use this card to get a 100% free cruise experience next year. Good question, to be able to redeem Arrival miles to pay yourself back for travel the charge has to post to your account under the travel category. As long as the cruise line codes those charges as ‘travel charges’ everything they bill you will be redeemable as a travel purchase. I’m not sure of a way to check this beforehand, so your best bet might be to call the cruise line or make a test purchase the first day. Good to know! I wonder how many other public transit charges are included as well.